Soda sarbath |nannari sarbath, the name itself gives me lots of childhood memories. 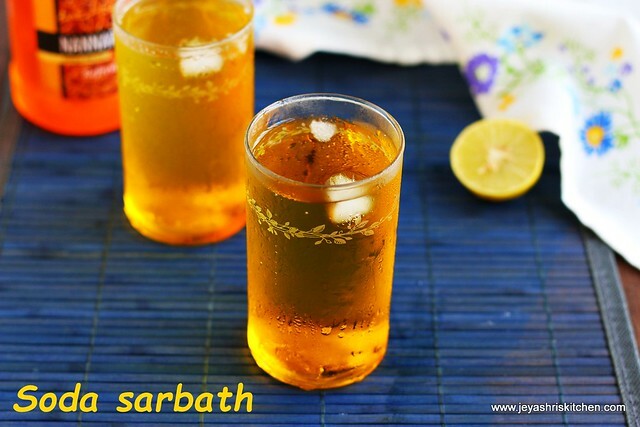 We used to get this soda sarbath in a near by potti kadai (petty shop) in my Home town in Madurai. They have few varieties of syrup to add to the sarbath but we love this nannari syrup to be added to the sarbath. My mama used to take us to the shop in his 2 wheeler and we love to see the way the shop keeper is making it. Especially the sound he makes while mixing it in the last is so fascinating for us those days. Most of our summer holidays will be spent like this. We will eagerly look forward for mama to come and take us to the shop. When i bought nannari sarbath 2 days back during our visit to Mustafa, i decided to make this soda sarbath. After finishing the video of soda sarbath today, i tasted a sip from that and immediately the taste brought back so many childhood memories. The 2 wheeler, mama, our trip to the shop, the shopkeeper, the sound of mixing.... i relished the soda sarbath by thinking of my childhood memories. Take a glass. Add the nannari syrup. Nannari sarbath we get in super markets. I got it from Mustafa center Singapore. We get this towards the end of the paneer section before the masalas. Also few shops in little India sell nannari syrup. Add the plain soda |club soda to this. If you want you can replace nannari syrup with rose syrup. Personally i haven't tried this but i feel it will be good. 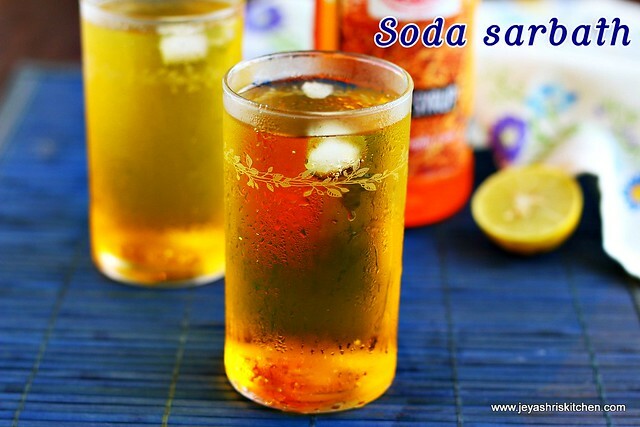 You can replace plain soda with sprite or limca and skip the lemon juice. No need to add sugar to this as nannari syrup has sugar in it. If you do not want soda you can add plain water. Yes Mythili.Hope you remember all these.